Creates a luminous finish that is as light as air. Evens out skin tone colour and creates a healthy glow in seconds. Non-greasy and long-lasting coverage for up to 8 hours. SPF 50/PA +++ to protect skin from UVA damage. Wet based foundation that is made with Jojoba Butter and Pearl Powder to moisturize and lighten skin. 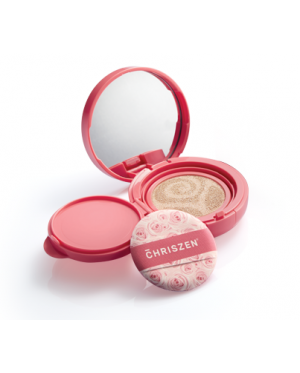 Its texture is as light as air to makes skin feel smooth and comfortable all day. It provides high coverage with a natural matte finish and balances out skin's appearance to create a glowing skin tone. It can be used for a foundation base or light touch ups. Contains Jojoba Butter to moisturise skin, lighten scars and smoothen out wrinkles. 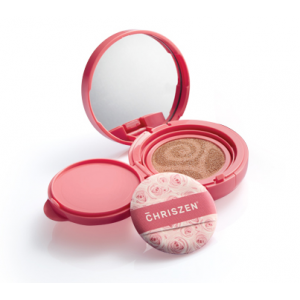 Also formulated with Pearl Powder, which helps to lighten the skin colour, improve skin tone with enhance appearance.